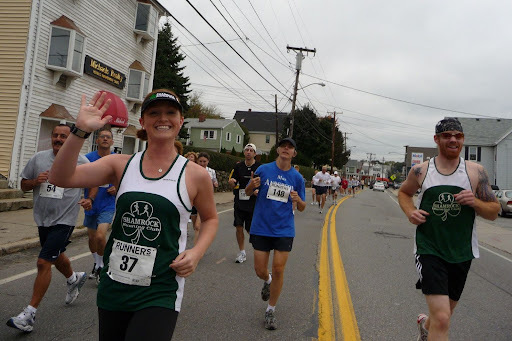 Here are photos I took while running the 2009 Irish American 5-Miler in Woburn, MA. I ran with a camera, and took pictures as I ran. (Yes, I took photos as I ran. I didn't stop or slow down. After all, I was in a race!) If you click on the “Play” button in the center of the photo below, you can view my slideshow, and get a first-person experience of the 2009 Irish American 5-Miler in Woburn, MA.